Happy Christmas and all the joy of the season to all our members and "Team 2006" please remmember to make contact with the Committee before 10th January. Julie McGeever (Dublin) retains position of PRO. Elected to committee, Moira Cosgrove, Sorcha Weld, Julie Gerry & Jean Johnston. The team for 2006 was announced as Madeleine Kelly, Moira Cosgrove, Muriel Scorer, Ann Kerrin, Ruth Mettler-Captain 2006, Julie Gerry, Margaret Rooney, Sorcha Weld, Mary Gunning, Rosalind Watson, Stella McGriskan, Susan Brown, Mary McKee & Sandra Moffitt. Places from 15 to 21 the following: Edel Decies, Elizabeth Black, Anne McWilliams, Jean Johnston, Julie McGeever & Jill Kenny, Anne McGlynn. The Hon Secretary will be writing to each team member with information and date for acceptance of their team place. Madeleine Kelly took the Trophy for Top Rod over all at International 2005. Ruth Metler headed the League table and was declared Captain. Noel Lowry accepted role of Coach for the coming year. Noel spoke to the Association before the the AGM and outlined what is required for our team to win gold in Wales this year. A presentation was made to Noel from the Committee for 2005. Madeleine Kelly is ILFA representative on the Recreational Angling Board and the Ulster Board. The 4th trial will be held on Lough Lein Killarney on Saturday the 8th October. Register at Ross by 10.15. Fishing 11 am to 6 pm. Weigh In 6 pm. Contact: Ruth Mettler. Note -this is a change from Clonee Lakes. Recreational Angling Ireland upcoming events. Ladies your presence and assistance is requested and will be most appreciated. For further information contact Chairman Madeleine Kelly email madeleine@groundworkni.co.uk. Hon. Treasurer Ruth Mettler 071 9841451 or Hon.Secretary Susan Brown. Lough Owel Green Peter fishing Saturday 6th August at 6 pm - 11pm. A Social evening is planned and depending on weather a BBQ on one of the Islands around 9pm. email jmcgeever@ireland.com Also Jack Doolan boathire 044-42085 for boats boatmen & engines. The 4th trial for 2005 is on October 8th on Cloonee Lakes Kenmare Co. Kerry. More details later. Congratulations and well done to Julie Gerry a great result with 17 fish on Saturday at Straide, Co. Antrim. Julie Gerry on 28 points, Denis Goulding 20 and Noel Lowry on 19 qualified to fish the European Open at Chew Valley in August 2005. The third trial is to take place at the Straid Fishery Co. Antrim. Ladies your entries need to arrive by Friday June 24th. Registration on shore Saturday 2nd July before 10.15 am. In conjunction with our trial Lawrence Gibb has offered to hold a qualifying heat for The *Lexis European Open the final of which is to be held at Chew Valley England on the 29th August 2005. For anyone (other than ILFA members) who wishes to fish the heat must contact Lawrence at the Straid Fishery at 028 93340099 (That may be 048 93340099). The River fishing for Salmon arranged on the Moy at the Cathedral Beat and Ridge Pool was cancelled due to extremely high water conditions. Thanks to the generosity of the North Western Fishery Board a compromise venue at the Cloongee beat was provided at short notice. 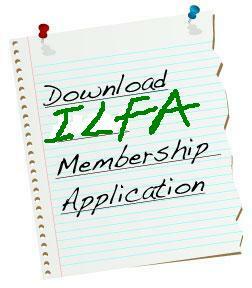 The ILFA raffle for a 19ft. boat took place after the dinner at the Castlecourt Hotel and the lucky winner on the night was Celine Sheridan of Kinlough, Co. Leitrim. The ticket was allocated to Ruth Mettler and was sold by Hugh Ferguson. The Ladies International Fly Fishing Match which was run very successfully on Lough Mask 29th May-2nd June is over for another year. Well deserved congratulations go to England taking gold in what proved to be a challenging Irish fishing day. The conditions were rough and wet and the catch by 30 anglers was a good return on the day. England with 17 fish for 29 lb. Scotland with 12 fish for 22 lb. Ireland with 12 fish for 20 lb. Wales with 5 fish for 10 lb. Maddy Kelly Ireland took top rod overall with 3 fish weighing 5.55 lbs. The Ballinrobe and District Anglers and boatmen provided the boats and the facilities and thanks especially to Denis Kelleher who assisted in every way on the practice days, Match day and at the International dinner as MC. We are most grateful to the Western Fishery Board who also provided their assistance and their facilities on the Cushlough shore for the teams. Robbie O'Grady proved his knowledge of the lake with 2 anglers in his boat landing 3 fish each to win him the boatman prize. 4 Irish Ladies who hold their places for team Ireland 2006 on Lyn Brenic Wales are 1. Madeleine Kelly, 2. Moira Cosgrove, 3. Muriel Scorer, 4. Ann Kerrin. Special thanks to the local school band in Irish Costume led by their teacher that played the teams down to the boats before the Match. Ladies time to be ready for the Match and all the activities 30th May to 2nd June. See you there. Congratulations to Rosalind Watson, One of our newcomers who won the trial on Lough Mask with 1 fish of 1 lb. 12 ozs. The day was extremely bright and not the best angling day only 3 fish were caught though a few undersized fish were returned. Next trial is planned to take place on 14 May and team training on the 15th on Lough Mask. The Training weekend 9th/10th April was deemed so succesful and enjoyable by those who attended that another should take place before the International. 12th February 2005 Provisional dates. 8th October at Cloonee, Kenmare. 9th & 10th April Lough Mask. 30th May at Knockranny Hotel. Practice days 31st May and 1st June. International Match 2nd June all on Lough Mask out of Cushlock. Ballinrobe. Proposed Social outing at the Straid Fishery Telephone 02893 340099 on the 12th February 2005. Contact Lawrence Gibb near Ballyclare Co. Antrim. A new year and time to get down to fundraising for Team 2005 on Lough Mask. It's Irelands turn to host the International Match which we hope will be successful and we hope all members will assist in whatever method of fundraising the committee decide on. A very happy Christmas to all our members, our sponsors, supporters and visiters to our site. May you all enjoy 2005. The AGM held on the 20th November 2004 at Bloomfield House Hotel Mullingar was very successfulwith a good attendance. Details below.